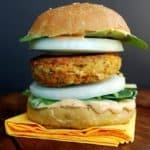 This Moroccan chickpea burger has it all: warm Harissa spices to add spark and sass, and delicious chickpeas and bulgur for flavor, texture and protein. Serve atop a wholegrain bun. Patty is soy-free, nut-free, gluten-free. You can have too much of a good thing — like all of this beautiful snow we’ve been digging ourselves out of in the Northeast — but that maxim just doesn’t apply when it comes to my Moroccan Chickpea Burger. With this one, you are allowed to eat all you want and then some more. I am a huge fan of Moroccan food, both while eating in and dining out. For one, the food is really vegetarian-friendly, which means there’s no need to go looking for too many substitutions and alternatives. For another, it’s extremely delicious with all of those spices and herbs and beans and grains. What’s not to love? 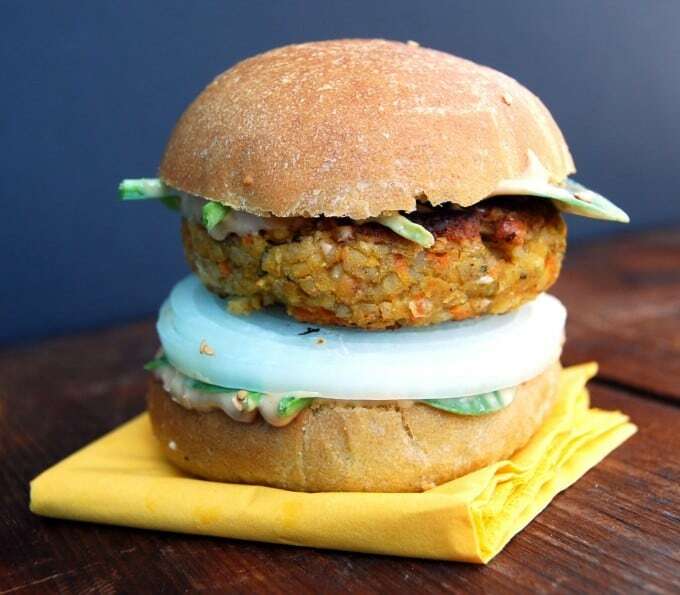 For my Moroccan Chickpea Burger, I used chickpeas and bulgur as the base for the patty and then built up a ton of flavor using the ingredients in a Harissa paste– a flavoring of oil, garlic, chilies and cumin often added to Moroccan stews. Because I wanted to make the burger patty fat-free I skipped the oil. You can use an oil spray to coat the pan when you cook the patties. 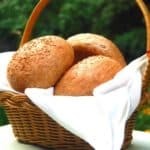 The buns were made with my own, foolproof recipe for Whole Wheat Burger Buns. If you are still buying hamburger buns, please, stop and try these just once. You’ll never want to buy bread again. I slathered my burger with a vegan mayonnaise, called Nayonnaise, into which I mixed in some Harissa paste for some added zip. You can absolutely leave it out or use another chili flavoring, like the adobo sauce from a can of chipotle chilies. Your imagination’s the limit. For some green muscle I added baby spinach, but feel free to use mixed greens or lettuce or even baby kale. 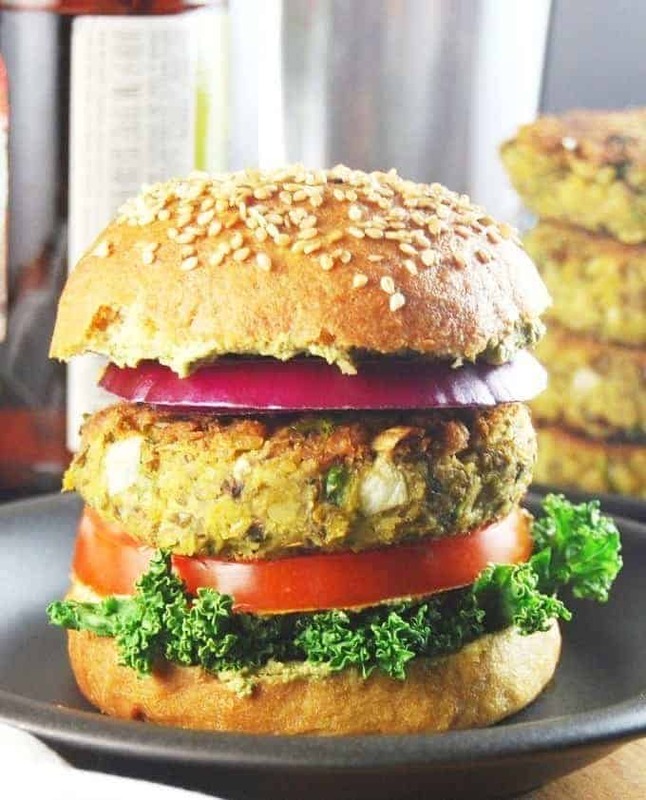 This burger patty has a wheat product– bulgur– but you can easily make it gluten-free by using quinoa instead, like I did in these veggie burgers. 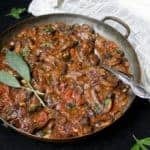 This recipe is also extremely easy to make and really fast– you can go from start to done in 30 minutes or less– which makes it perfect for weekday and weekend eats. Is everyone looking forward to the weekend? I know I am because Desi and I are seeing some old and very dear friends after a long time. May yours also be filled with friends, sunshine and fun. Oh, and I have something to ask of you too– a favor, really. Holy Cow! has been nominated for The Kitchn’s Homies awards in two categories this year– Best Daily Read Cooking Blog and Best Health & Diet Blog. First of all, many, many thanks for nominating me — I love you! And if you, dear reader, enjoy the blog, please, please head on over to the links above and vote for me. You do need to sign up first, but I will love you double for it. If you don’t, no ill feelings. Thank you! Cook the bulgur by placing it in a saucepan with salt to taste and 2/3rd of a cup of water, bring to a boil, lower heat to a simmer, slap on a lid, and let the bulgur cook 15 minutes. Set aside to cool. Place the chickpeas in a large bowl and mash with a heavy ladle or potato masher. Leave some larger pieces in for some texture. 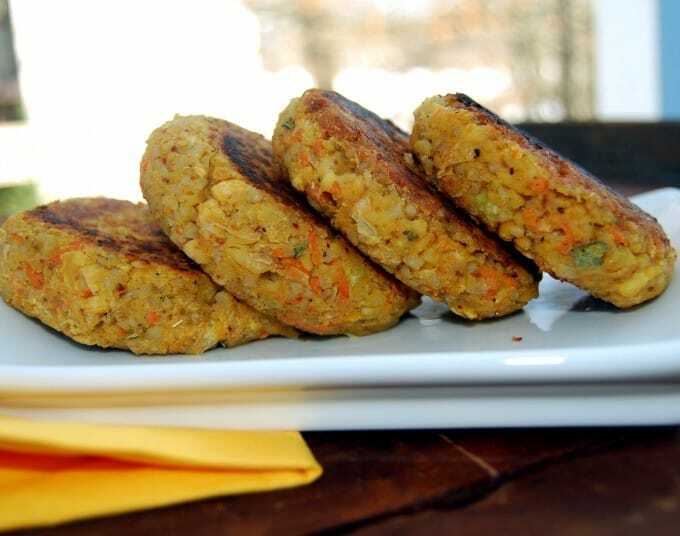 Add all of the other ingredients for making the burger patty, including the bulgur, and mix them well. You should have a mixture that holds together when you press it into a patty. Make six patties, each about 2 1/2 to 3 inches in diameter. 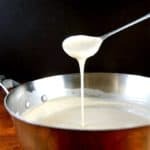 Spray a nonstick griddle or cast-iron skillet with oil. 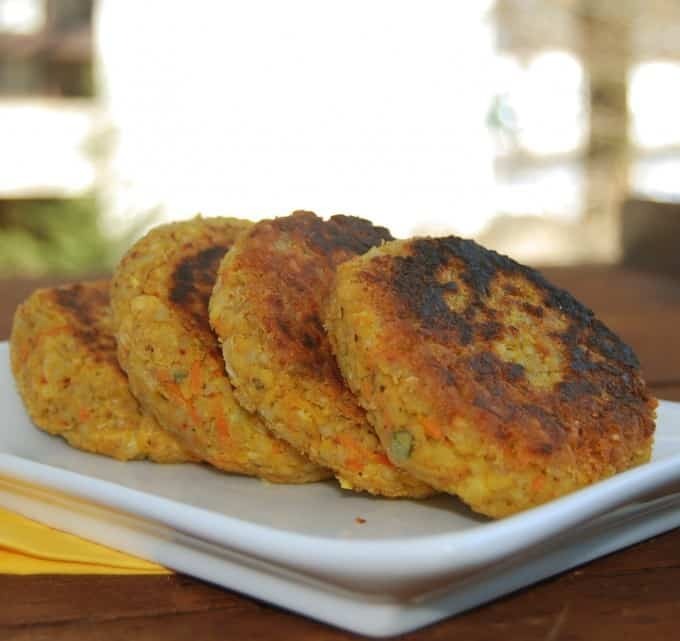 Cook each patty for about 3 minutes on each side over medium-high heat or until charred and golden-brown. 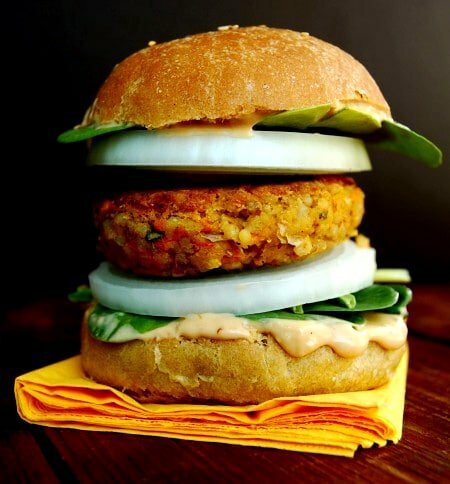 To build your burger, cut each hamburger bun along the middle, and then slather on some vegan mayonnaise. Add greens, an onion ring, top with the burger and more veggies if desired, and serve. 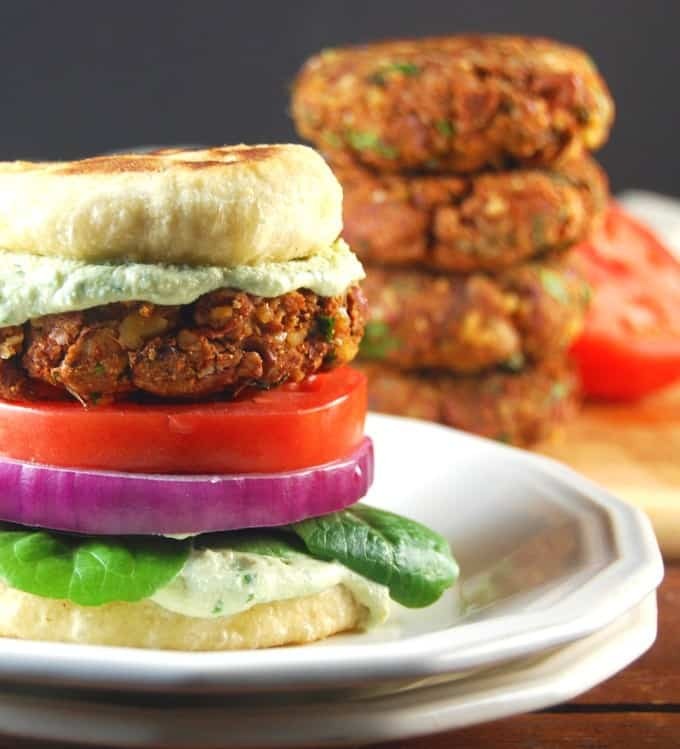 And check out this post on Veggie Burgers for the Grill. Delish 🙂 And will vote for you. Do you add the carrot raw? I am voting and rooting for you!!! 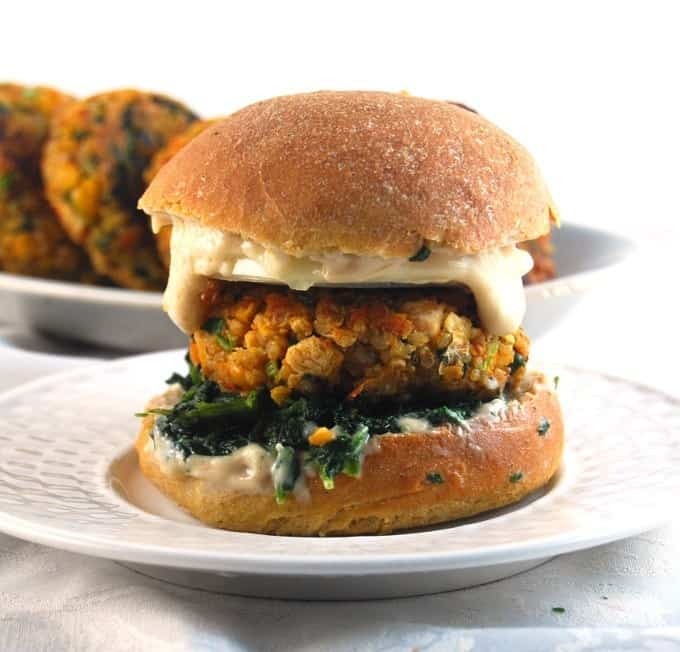 And these burgers are such a treat – love them! Thanks, Lily, I like cooking with things from the pantry — just makes life easier. 🙂 You can substitute bulgur in the recipe with quinoa or even brown rice. 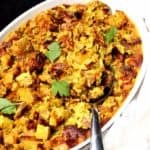 DEAR vaishali iam a health freak vegan and struggling to feed my kids the healthy way.your blog is amazing and really helpfull. iam in India can I vote for you or is it only for your state people? Hi Anitha, thanks so much for your very sweet message — it is so kind of you and I am so happy the blog has been useful to you. You can vote from anywhere in the world, and thank you for offering to. I appreciate it! Hugs. many congratulations on the achievement of holycow vegan, and wishing you many more in future. Thanks, Jessica, for your kind words. You’re the best. That burger looks epic. It makes me feel hungry just looking at it! 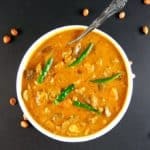 Vaishali, We loved this recipe. So easy to put together and yet so flavorful. We put them inside grilled sandwiches with hummus and red chile salsa. Thanks for sharing. Rooting for you to win. I just found your blog through Pinterest today when pinning your Chana Masala. Love it, particularly the chickpea story and all its recipes !!! 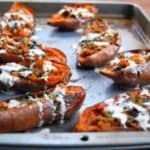 I want good vegan recipes that others will enjoy as much as I, and your site seems to have that and more. Plus, the photographs are phenomenal. I found your request for nominations for The Kitchn’s Homies awards and headed right over there to add my vote. Signing up was worth it for access to all the food blogs, including yours!! Good luck to you! I’m so glad I found your blog, thank you for posting, can’t wait to try some of your delicious recipes. The question I have is which are the best main course recipes that freeze well? I mainly cook for myself and it would be great to cook some meals in bulk. 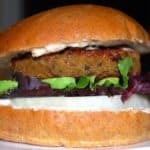 I am not a vegan , but I was excited to try the Chickpeas Burger. I had a disappointment;the buger did not stick together as predicted . I added more of the wheat and stil it did not work. Eventuly I added and egg to bind, but the buger fell apart while cooking. Hi Mike, I am surprised– this recipe has worked for everyone that’s tried it, and it works for me. The only explanation could be that you substituted or left out ingredients. Hi, I can honestly say that I tracked down all the ingredients. I was excited to try it because I need more protien in my diet. I felt the bulgur with the chickpea flour would be the binder. But this has not discouraged me from trying other recipes on this site. Hi! Great recipe .. I really want to try it but I don’t have bulgur. Can I replace it with oats?IF not what do you suggest. Hi Vedika, use cooked rice, either brown or regular should be fine. These look great! I would love to try them but want to use quinoa instead of bulgur. How much should I use. Measured dry or cooked? Thank you! Kelly, yes, use the same amount of quinoa as the burger — 1/3rd cup dry. 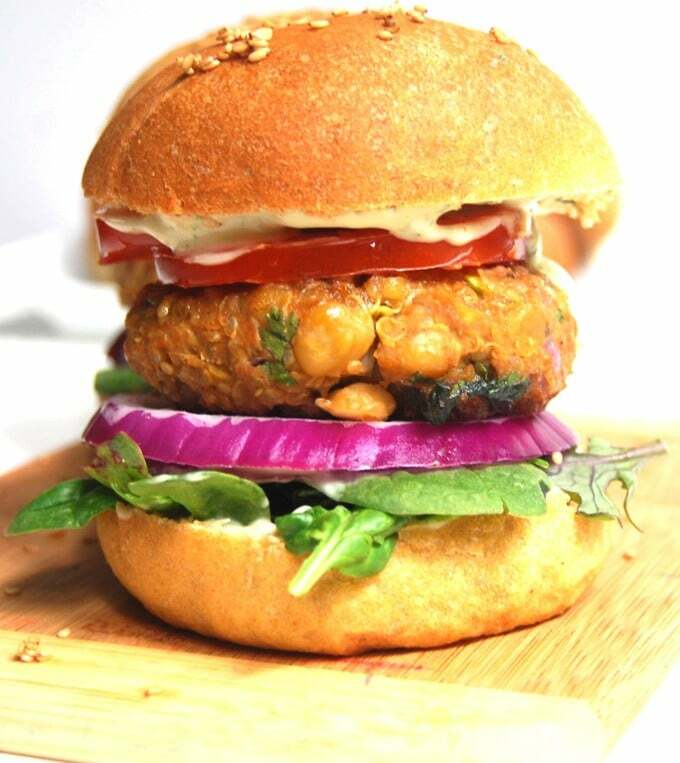 Hi- love the Moroccan chick pea burgers! Wondering if you’ve tried grilling them and how they hold up? Thanks! Hi Bitta, they hold up very well on the grill. 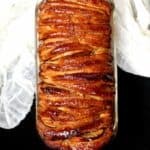 You can also make them in advance, freeze them separated by wax paper or parchment paper, and then slap them on the grill when you’re ready to eat. 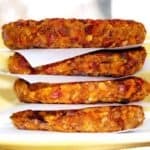 Once in a while I make these veggie burgers for dinner-they are quick and easy to combine all the good stuff in one patty- easily accepted as fun food by adults and kids alike! Good to know! Thanks for the feedback, Rachel. So glad you and your kids like it! 🙂 I have to try it on my kid soon. I have passed on your blog name to my cousins who share a similar taste in the food department around the globe! Will keep visiting for new, new and old, new twists to your food tales. Hi Sonal, what a lovely message– you are so kind. 🙂 Thanks for holding my blog in such esteem, and I am a little intimidated that you chose the entire week’s menu from the blog. 🙂 I hope I do not disappoint! Happy settling down in Singapore!! Made this for lunch yesterday and absolutely loved it. Didn’t have chickpea flour so substituted with half the amount of coconut flour which made the mix too dry so I tried salvaging with a flaxmeal and water mixture for moisture. They held together and I cooked all the patties and froze the leftovers. Reheating them didn’t work out as they fell apart on the skillet when I tried to flip them, but it struck me that the broken pieces looked very much like ground beef so I added sauteed onions to the crumbles and put it on some corn tortillas, topped it off with some shredded lettuce and diced tomato… best vegan tacos ever!!!!!!! Hi Adrian, what a wonderful idea to turn the burgers into beef crumbles. 🙂 So innovative. Can u tell me what in the ingredients brings the moisture.. I have made the mixture without the grated carrot.. As I have non in the house at the moment.. So it is a very dry mix and the only item that would bring moisture is the carrot juice from the grated carrot…. You need the carrots for moisture but you can add mashed potatoes or sweet potatoes instead.